8fit understands the obstacles people face on their fitness journey. It often isn’t easy, and there’s no one-size-fits-all way to find lifelong health. That’s why we’ve set out build the best way for people to achieve their personal fitness goals. 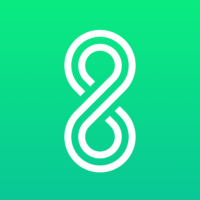 8fit makes healthy living fun and simple by providing tailored workouts, meal plans and guidance in one easy-to-use app. 8fit is looking for a talented Customer Support Agent to join our growing team. You are motivated by solving our users’ problems and ensuring that they are having a great experience using our app. Your goal is to offer timely responses and provide an outstanding customer experience. We endorse healthy life choices to millions of people and we stick to them ourselves, so “work/life balance” is core to how we do things. But don’t just take our word for it – you’re welcome to drop by and meet the team! We’ve got a lovely office in Friedrichshain, right on the river Spree. It’s quiet, bright, well-stocked with healthy snacks, and every Friday, we get together for a healthy lunch.